Register for special events here. You will be redirected to our MindBodyOnline.com site. 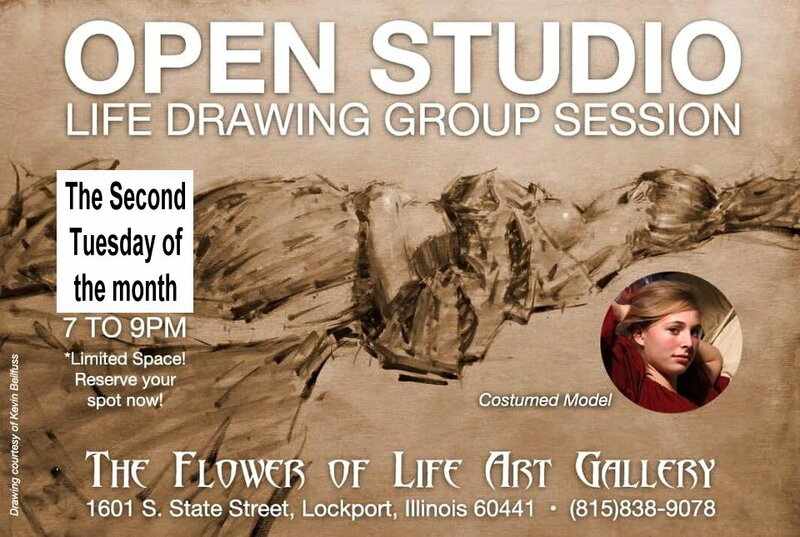 Hosted by the amazing artist Kevin Beilfuss (Member of TAGOL- The Artists Guild of Lockport). This Life Drawing Session will give each participant a chance to sketch from a live model with whatever medium they chose. The model will be in costume and posing in different positions over the two hour period. 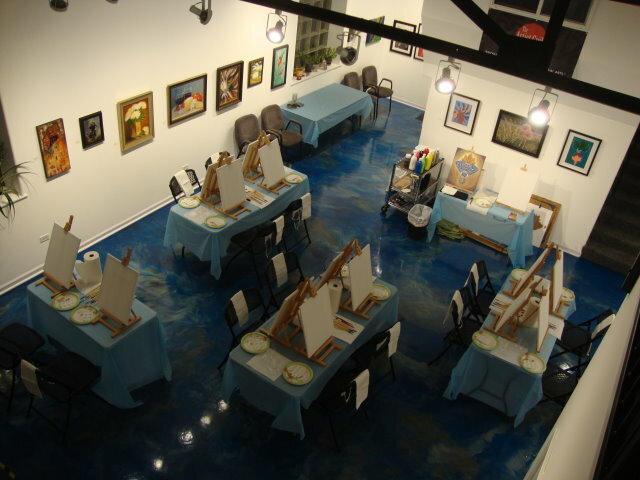 Chairs will be provided by gallery and each participant will be required to bring their own supplies and sketch pad as well as easel if wanted. Tables can be made available if any artists needs one. 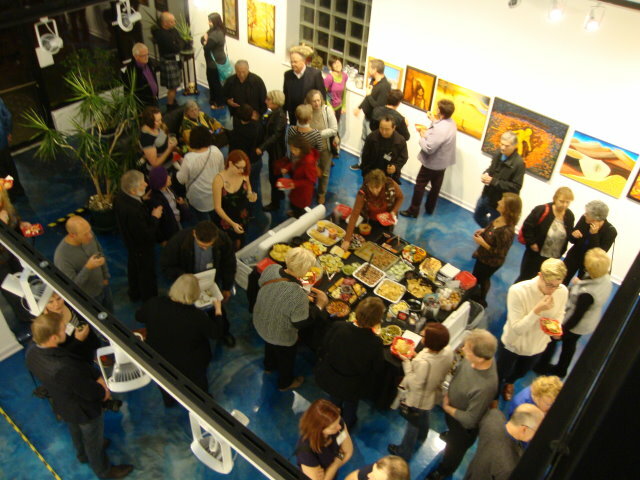 Gallery opens at 6:30pm to set up, drawing will begin at 7pm and end at 9pm. Cost $10. We only have space for 12 participants so pre-registration is recommended to reserve your space. 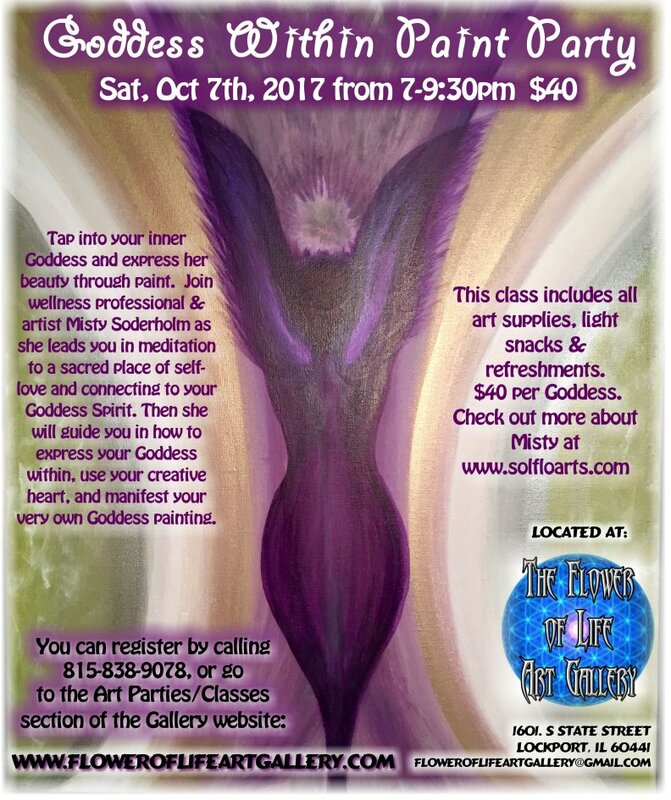 You can click here to register through Tattoo City Mind/body online system or call the gallery at 815-838-9078. 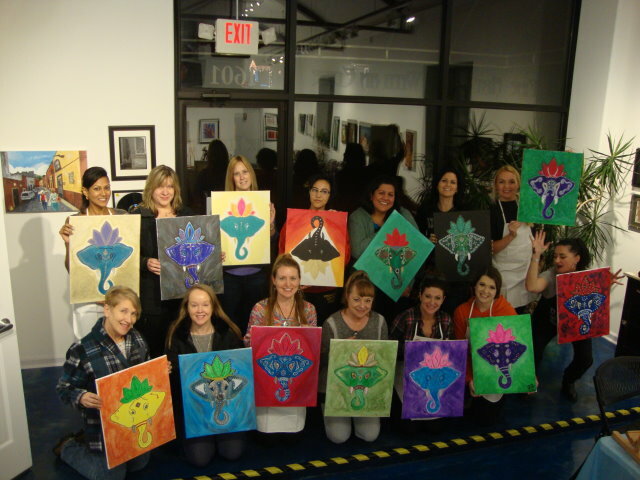 Come explore the calming qualities of process art using watercolors. 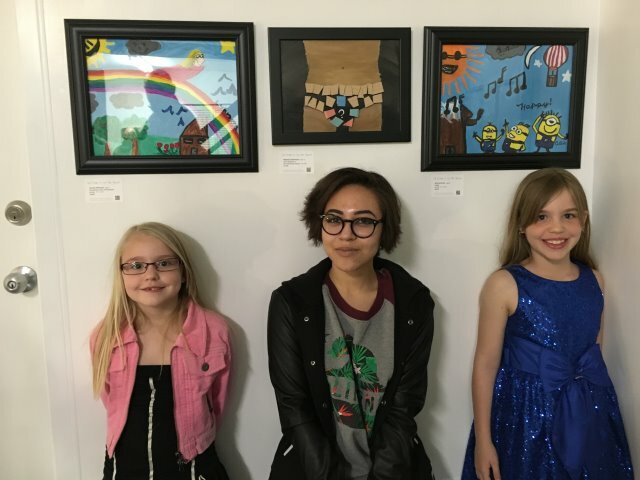 Artist, Jen Downing from Spirit Sketches, will guide you through process painting, which focuses on process versus product. 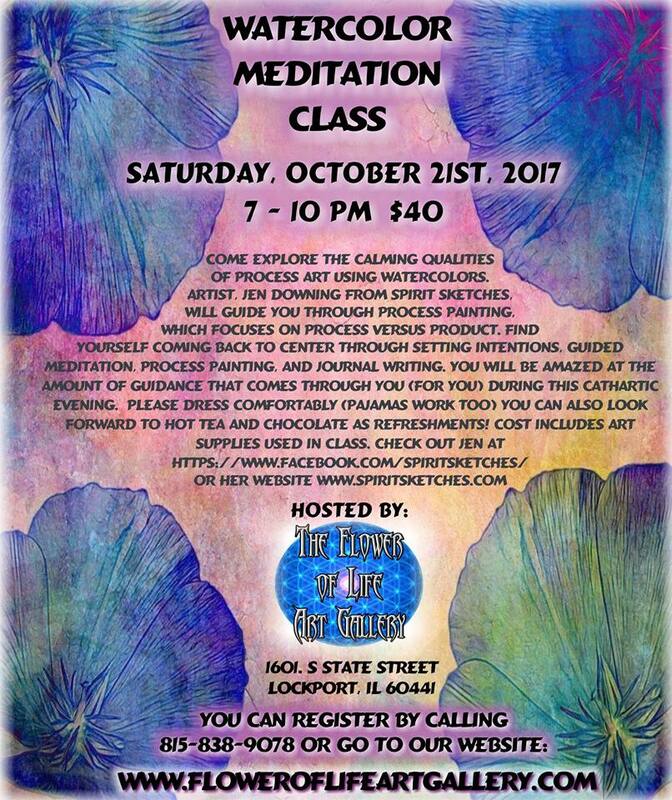 Find yourself coming back to center through setting intentions, guided meditation, process painting, and journal writing. You will be amazed at the amount of guidance that comes through you (for you) during this cathartic evening. You can look forward to hot tea and chocolate as refreshments!